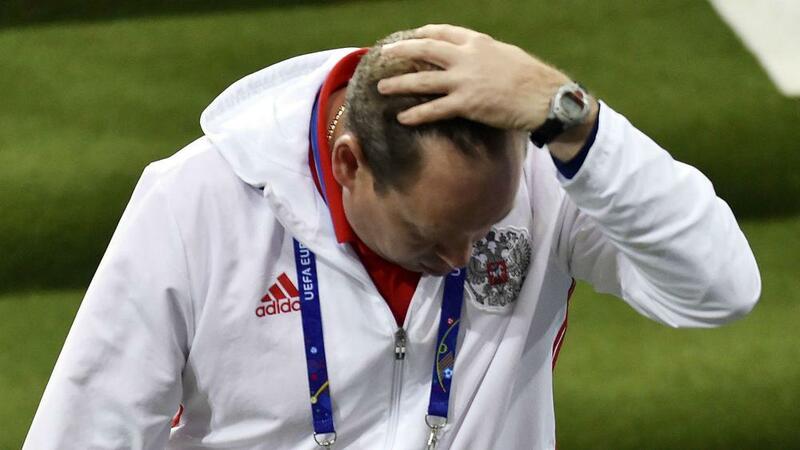 Leonid Slutsky looks almost certain to leave his position as Russia coach after claiming the side needs a new boss to lead them into the 2018 World Cup. Aaron Ramsey, Neil Taylor and Gareth Bale all found the net as Wales beat Russia 3-0 in Euro 2016 Group B on Monday, leaving them rooted to the bottom with one point from their three matches. And, speaking after the match, Slutsky, whose contract is due to expire this month, commented that Russia would benefit from a new man at the helm heading into their home World Cup. "I want to apologise for the performance we put on tonight," he said. "The fans don't deserve what we showed tonight. I take the blame. "After a tournament like this you need someone else in charge. "We tried to give the best that we are capable of, but unfortunately my level was insufficient." Slutsky was appointed as Fabio Capello's successor on a short-term deal in August 2015, combining the role with his club duties at CSKA Moscow.